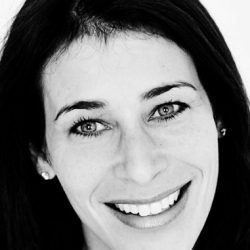 Ellen Kaplan, M.Ed, is the co-founder and Director of Education and Executive Function Coaching and has extensive experience in executive dysfunction and learning disabilities. She has worked with all age groups, but focuses on working with adults. Prior to co-founding Orchid, Ms. Kaplan developed and ran a program for executive functioning in a mental health practice for seven years. Ms. Kaplan currently works with undergraduate and graduate level students, medical and law students, and professionals to identify weaknesses in their executive functioning and provide education and training to improve the identified areas. She also administers tests for psycho-educational evaluations and works as an education advocate, helping parents through the special education process to ensure their children receive the right level of service. Ms. Kaplan received her bachelor’s degree in Special Education from the University of Hartford and her master’s degree in Reading Education from Towson University. She has completed several courses on executive function education and has provided professional training and workshops at area public and private schools, as well as at the college level, including several on how to work with students that have ADHD and other disabilities.